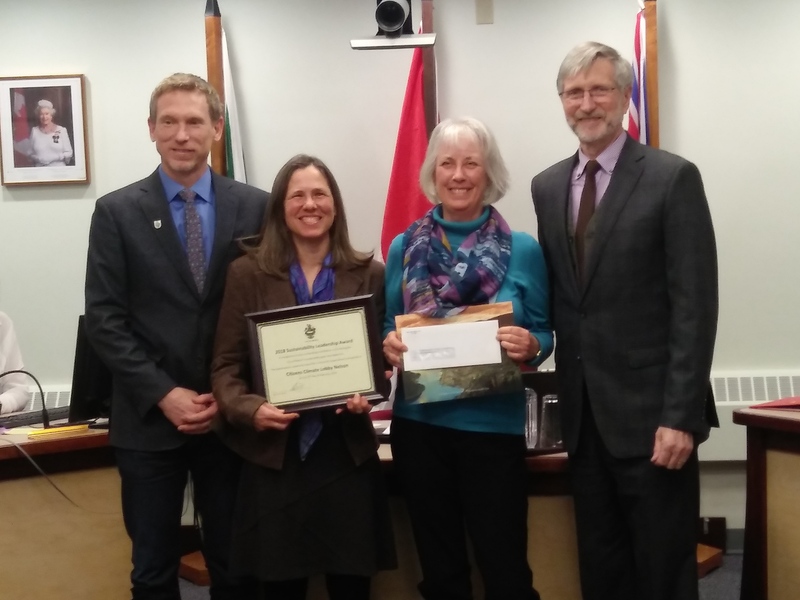 City councillor Rik Logtenberg (left) and mayor John Dooley (right) present a sustainability leadership award to Laura Sacks (second from left) and Judy O'Leary (second from right) of the Nelson chapter of Citizens' Climate Lobby. 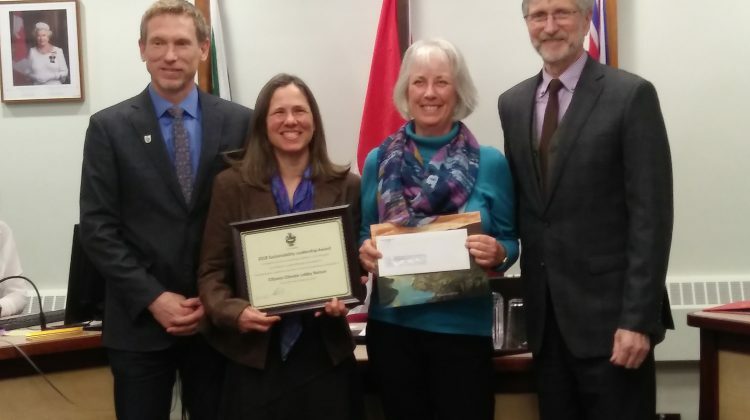 The local chapter of a group pushing for action to curb climate change has been recognized by the City of Nelson with one of four sustainability leadership awards. Citizens Climate Lobby was presented with the award tonight. “It’s an honour to be acknowledged and also really wonderful to see how much our local chapter has blossomed in the last few years,” said co-leader Laura Sacks, who accepted the award on behalf of the group. She also says that simply approaching elected representatives with respect can go a long way. The other recipients of the annual awards were Kootenay Kids Family Place, Nelson and District Arts Council, and Blue Night cultural crawl founder Brian Kalbfleisch. Each award comes with a $1,150 prize. The awards are now in their fifth year.